Even though the collection of taxes has a purpose, it still doesn’t seem to make anyone feel better. (At least, it doesn’t make me feel any better.) However, recently I started looking up unorthodox tax collection methods and found some interesting stuff. My motto in life is that if you don’t laugh for a minute, you’ll just end up crying for the other 23 hours and 59 minutes of the day. Have You Heard of These Odd Tax Facts? Income, property, gambling winnings, and numerous other sources of income can be taxed. But, did you know there is a blueberry tax? A tax exemption for artistic integrity in Ireland? Or a tax to support the veterans of the American confederacy, even though they lost the American Civil War? Governments collect taxes in the United States and abroad for a variety of reasons. Some incredulous; some weird. 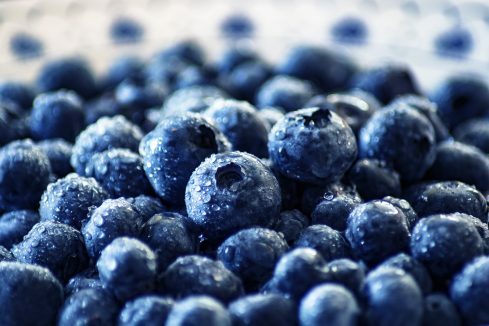 Maine produces almost 80 million pounds of blueberries every year by most conservative estimates. If you have ever eaten a blueberry in your life, it was probably from Maine. Maine produces over 99% of all the wild blueberries consumed in the United States. To protect its monopoly on its cash berry, Maine exerts a tax on any independent blueberry producers in the state. Any individual or business that produces blueberries outside the control of the state must pay a 1.5 cent per pound tax to do so. Even though 150 years have elapsed since the end of the American Civil War, the state of Alabama still collects taxes for the benefit of confederate veterans. The tax was originally mandated to collect taxes for the maintenance of Alabama’s Confederate Soldiers’ Home. Which closed down almost 75 years ago. Every confederate veteran eligible to benefit from this tax died generations ago. Instead of doing away with the tax, the state of Alabama repurposed it as a fund to maintain the Confederate Memorial Park in Mountain Creek. This results in collection of almost half a million dollars in taxes every year for this fund. What is art? Is it defined in the eye of the beholder? Or in the eyes of Irish tax exemption law administrators? In a bid to encourage persistent artistic creativity and income generation for artists of all mediums, Ireland offers generous tax exemptions for its artists. Up to $45,000 (€40,000). Eligible art must exhibit artistic and cultural merit that enhances and adds to the spiritual, intellectual, and social growth of viewers. How such merits are judged by the Irish Revenue Commissioners, the governing body where artistic tax exemptions must be filed, is not conclusively clear. How Does the System Work For You? There is no escaping the taxman. That is abundantly clear. Taxes are collected for a variety of reasons, whether they be controversial, commendable, or confusing. It’s better to understand the system to make it work for you, instead of just ruing how much it takes from you.